One of the most unexpected events of last year when it comes to celebrity couples was the split of Brad Pitt and Angelina Jolie. The two famous actors separated in what turned out to be quite a scandal. Both Brad and Angelina have remained silent about their divorce, at least, until now. So, Brad has decided to open up about this event during a new interview with GQ. Furthermore, the famous actor revealed that he has decided to quit drinking and revealed that he has been undergoing therapy. Brad also talked about his six children and revealed that he has been doing his best to work through the divorce. Brad also revealed why his appearance has changed since the divorce and it seems that it is all linked to the fact that he has been making healthier lifestyle choices. “I was boozing too much,” the famous actor said. “It’s just become a problem. And I’m really happy it’s been half a year now, which is bittersweet, but I’ve got my feelings in my fingertips again,” he went on to add. “Truthfully I could drink a Russian under the table with his own vodka. I was a professional. I was good,” Brad also said. 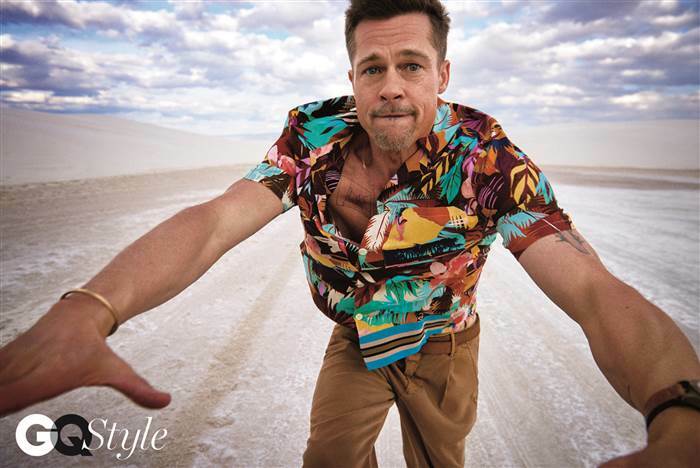 The actor clarified that he just did not want to “live that way anymore.” Brad also revealed that staying at his home became too sad for him after his children left, so he actually crashed at one of his friends after the separation. The actor also said that both he and Angelina are doing their best and want what is best for the children. “It’s just very, very jarring for the kids, to suddenly have their family ripped apart,” he said.